JH Football Postscript: Great Season. No Playoffs. This year the Lampeter-Strasburg Junior High Football team had a record of 6-. Despite the great record the team still did not make the playoffs for a surprising reason. The league simply does not have playoffs for our junior high level. We started our season in June with weight lifting. We did that through August. Then we started holding actual practices until Mid-October. As is the nature of the sport, several players were injured over the course of the season. Their injuries range from numerous concussions, a broken arm, and a thigh injury. Our first game of the season was against Manheim Central. We defeated Central 12 to 0. Our sole loss of the season came from Ephrata, 24-16. Over the next five weeks, we won against: Garden Spot, Solanco, Cedar Crest, Elizabethtown, and Cocalico. 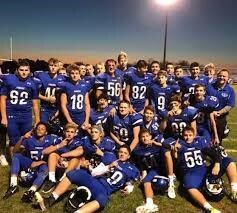 We ended the season with a win over Cedar Crest with a score of 34-0. That last win of the season was very emotional as it was the last time we would play on that field before high school football. For most people October 31 means one thing: Halloween. But for Mrs. Christy McCanna's AP European History it means something else entirely. Today, marks the 500th anniversary of Martin Luther nailing his 95 Theses against the sale of indulgences to the door of the Castle Church in Wittenberg, Germany. In 1517, this was the typical way to call for a debate. He wrote his theses in Latin and did not intend to break from the Catholic Church. However, his theses set off the Reformation, partly because the printing press helped to spread his ideas throughout Germany. The AP European History kids celebrated by having a pancake party and hanging the 95 Theses around the school. Yesterday marked the end of the first marking period. We're already a quarter of the way through the school year. But if you aren't currently participating in a high school sport or club it's not to late to get involved! 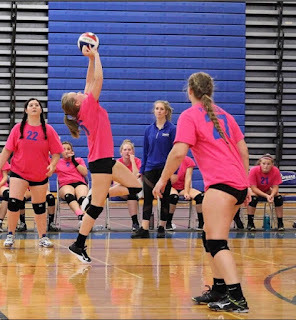 Playing a sport or participating in a club isn't just fun and educational. It also looks good on your college applications. In fact, I would highly recommend it. One of the biggest things is having to learn when you are involved in a club or sport is how to manage your time. Playing sports require a lot of commitment and you have to make time for the practices, the games, maybe even some team bonding. Going along with that, to participate in high school sports, you have to have pretty good grades. So you need to make sure your school work is getting done so it doesn’t become a problem. The Lampeter-Strasburg Junior Varsity Boys Soccer team this season won a mere three games, tied six games, and lost nine games. As a JV soccer team, we had a tough season, and also we are losing eleven seniors, the majority of the varsity starting lineup. Next year, will be a tough year because we will have lost some of our best players, but we will still fight to try and make it to states. This year, the varsity team made PIAA District 3 finals, after beating Twin Valley 3-1, and falling to Greencastle-Antrum 2-0. The JV boys did not make sections this year or leagues because of our overall losing record. We struggled this year because we could not finish the ball, and put it in the back of the net. We also had trouble with spacing and finding the simple pass. Varsity had a much better record and they were placed sixth overall in the PIAA District 3 bracket. In My Own WordsIn this installment of In My Own Words, Kaden Swope talks his fourth quarter touchdown against Elizabethtown in a recent Junior High Football game. "The thirty, twenty, ten, touchdown!" The excitement in the announcer's voice was obvious. But after all, I did just score a touchdown. We were playing Elizabethtown on Wednesday, October 4 in a Junior High football game. Almost immediately, it looked like this was going to be an easy win for Lampeter-Strasburg. Etown threw an interception to our defensive back in the first play of the game. He nearly returned it for a touchdown. We scored on that drive and stopped them for a three and out of their next drive on offense. After multiple drives, the game was at halftime. My coach told us that we were doing a great job, but we could also be doing little better on defense. I ran the ball a lot during the second half of the game. At the start of the fourth quarter, the score was already 35-0. We were crushing them. FFA is an intracurricular (meaning within an educational curriculum) student organization for those interested in agriculture and leadership. FFA continues to help the next generation rise up to meet those challenges by helping its members to develop their own unique talents and explore their interests in a broad range of agricultural career pathways. While the letters FFA still stands for Future Farmers of America, it represents much more. FFA members are also Future Biologists, Future Chemists, Future Veterinarians, Future Engineers and even Future Entrepreneurs of America. The FFA was first started in 1926 as The Future Farmers of Virginia. The national blue and corn gold colors became the official colors in 1929. The FFA now represents 649,355 student members belonging to one of 7,859 local chapters. All 50 states and two U.S. territories are in the FFA national organization. In a theater season dominated by heavy dramas at neighboring school districts, Lampeter-Strasburg Thespian Society's family friendly comedy presentation of The Somewhat True Tale of Robin Hoodis a breath of fresh air. Performances are in the Lampeter-Strasburg High School Performing Arts Center on November 9, 10, and 11 at 7 pm with a special matinee performance on Saturday, November 11 at 2 pm. This show is appropriate for children of all ages! What makes the Saturday's matinee special? The first three hundred patrons to the matinee will receive their own Robin Hood hat. Be sure to come early for the show because the Iron Throne will be available for photographs in the Grand Lobby until 15 minutes before curtain. 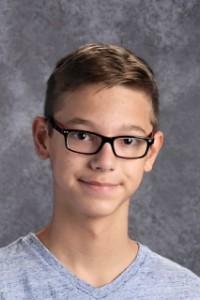 Student Spotlight Interview LS News reporter Ari Anderson sat down with freshman Roman Shrekengast who is a member of the Lampeter-Strasburg orchestra, to get an idea of what it's like engaging in the school's music program. Me: What instrument do you play? Me: How long have you been in orchestra? Roman: For six years, since the fourth grade. Me: How many performances do you put on a year? Roman: Around 3-4. Our last performance was on Tuesday for the Autumn String Concert. Me: How long do you practice in school and out of school? Roman: In school, we practice for about three hours. Outside of school, I practice around one to one and a half hours. Me: What are some of the pieces you play as a whole? Roman: Each year varies, mainly classical pieces such as Beethoven. Me: How long do the performances last? Roman: A typical concert would last about an hour to an hour and a half. 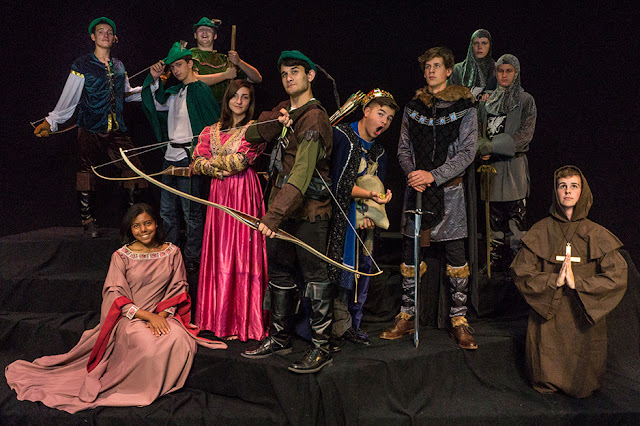 Meet Allan Adale at Lampeter-Strasburg High School on November 9-11 when The Somewhat True Tale of Robin Hood opens. Allan Adale is a member of Robin Hood's (played by Brendan Massar) band of Merry Men along with Little John, Will Scarlet, and Friar Tuck to name a few. If you compared the Merry Men to a pack of happy, not-too-bright stray dogs few would argue the point. As far as Merry Men go, Allan Adale is slightly brighter than Little John, but that isn't saying much. Alan isn't the best fighter. He's more of a minstrel often providing musical entertainment for the band of outlaws. Alan enjoying spinning sometimes exaggerated tales of Robin's deeds, spreading the bold outlaw's fame throughout the land. Meet Will Scarlet the red clothed outlaw of Sherwood Forrest at Lampeter-Strasburg High School on November 9-11 when The Somewhat True Tale of Robin Hood opens. Will Scarlet (played by Ethan Bare) is in Robin Hood's band of Merry Men along with Little John, Allan Adale, and Friar Tuck to name a few. If you compared the Merry Men to a pack of happy, not-too-bright stray dogs few would argue the point. Last night's victory over Garden Spot, 42-27, almost guarantees the Lampeter-Strasburg Football team a District Three playoff spot. The victory also gave High School head football coach Mr. John Manion his 150th career win . The Pioneers dominated the first half of the game. They finished the night rushing 353 yards over 55 plays. Cam Niemeyer contributed 137 years to that total with 17 carries. The Pioneers are now 3-3 for the league and 6-3 overall. Next week the Pioneers defeat their home (soon to be artificial) turf against Cedar Crest. Book Review Before school started, I went to Barnes & Noble to get a few books from my favorite author, S.E. (Susan Eloise) Hinton, to read as the year started. 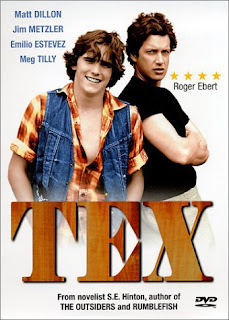 I got That was Then This is Now, Rumble Fish, (a third copy of) The Outsiders, and Tex. I had already read The Outsiders at least nine times, I had finished That was Then This is Now, and I had just finished Rumble Fish, so I decided to pick up Tex and start reading. The author of these books writes them in the only way I can ever read books. First person point of view with a relatable narrator. Last Saturday, October 21, the Lampeter-Strasburg Marching Band cheerfully anticipated our next coalition at Ephrata High School. A coalition is a replacement for a competition in marching band (read more here). This time, only five schools meet, including Cocalico (whom we played the night before), York Suburban, Garden Spot, Ephrata, and ourselves. The day is perfect for a coalition. The warm sunlight beams down on us, and a slight breeze blows past us consistently. Before dinner, we have a three-hour practice to make sure everything runs smoothly. Although the weather is perfect, I did not prepare for the heat. Of course, merely standing outside, it is heaven, but when marching on dark pavement in black shirts, it is a different story. I run out of water in the first hour. Thankfully, parents brought coolers of water bottles, so I don’t go thirsty. Some people didn’t even bring water with them to practice, assuming the same I did. On Friday, October 13, was the anticipated homecoming game, where the stands are packed and the hunger for a win is at its peak. We are to play E-Town, a pretty solid football team and a ginormous marching band. I remember their routine from the coalition; their drum majors performed a complex dance before the show started which ultimately ended in all three doing a split. Unlike most home games, we are doing the half-time show. I am a little bummed that we weren’t doing pregame, but half-time also has its perks. During halftime, all attendees are already in the stands, so we have a larger audience. As the band settles into the stands, the E-Town Marching Band files onto the field. Now, I notice that their band is even larger that I thought. There are at least ten flutes, where our band has only five. Although having a bigger band is great for stellar visuals, it is hard to manage a great amount of people, especially if they are easily distracted, talkative high schoolers. Graduate Spotlight Matt Marafioti graduated from Lampeter-Strasburg in 2007. Since May 2015, Marafioti has been operating Mara-Leo's Italian Food Truck. 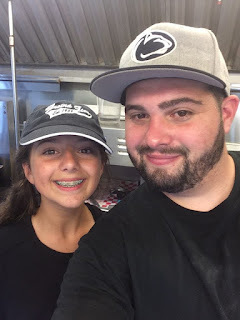 His food truck serves a select menu of specialty Italian foods. In last year's Celebrate Lancaster, Mara-Leo's was even voted #1 Food Truck. He's even appeared on TLC's Kate Plus 8 TV Show Season 5, Episode 1 "Sextuplets Turn 12." Today from 7:45 am until 1:45 pm Marafioti is visiting the high school as a guest speaker in Mrs. Cathy Lynch's family and consumer science courses. As an added bonus, he's brought his food truck! Meet Friar Tuck at Lampeter-Strasburg High School on November 9-11 when The Somewhat True Tale of Robin Hood opens. Friar Tuck (played by Pierson Castor) has a deep love for God food, and beverage. In what order though is anyone's guess. This man-of-the-cloth's friendship with Robin Hood (played by Brendan Massar) began the same way Robin starts most of this friendships...with a fight. From that time on, Friar Tuck took on the role of religious shepherd providing guidance and ministering to Robin and his band of Merry Men. Don't underestimate Friar Tuck because of his size. He is a dangerous opponent. Just ask Robin Hood. He bested the hooded outlaw in that fight on their first meeting. The good Friar is quick to quarrel with anyone who slights him, deprives him of his food, or makes fun of his girth. In fact, he's a dangerous, hot-tempered opponent who is skilled with the sword.